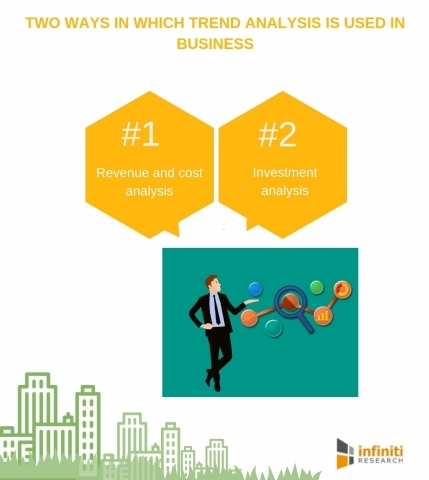 LONDON--(BUSINESS WIRE)--A well-known customer intelligence company, Infiniti Research, has announced the completion of their latest article on using trend analysis for developing accurate business strategy. The article gives a comprehensive overview of trend analysis and how it proves to be a powerful tool for strategic business planning. Trend analysis involves comparing business data over a period of time for identifying the occurrence of any consistent results or trends. By creating a plausible and detailed picture of the future, trend analysis identifies if a potential driver of change has developed over time and how it will likely develop in the future. Trend analysis can also be used to determine the spike or decline in the satisfaction levels of customer sub-groups. Companies best prepared for the future are those that track key variables and most accurately forecast industry trends. Request free brochure to know more about our market intelligence services and how they can help your business achieve this. Here the company’s income statement is used to extract revenue and cost information. This data can then be arranged in a trend line for multiple reporting periods that helps examine trends and inconsistencies. This trend analysis method proves to be highly useful in examining preliminary financial statements for inaccuracies and identifying whether any adjustments should be made before the statements are released for general use. Using investment analysis, an investor can create a trend line of historical share prices and leverage this data to predict future changes in the price of a stock. Trend analysis can also be used for the entire stock market, to detect signs of an impending change from a bull to a bear market, or vice-versa. Request for more information and know how we can help your business can use data to implement more modern customer engagement strategies. Infiniti Research has announced the completion of their latest article on using trend analysis for developing accurate business strategy.